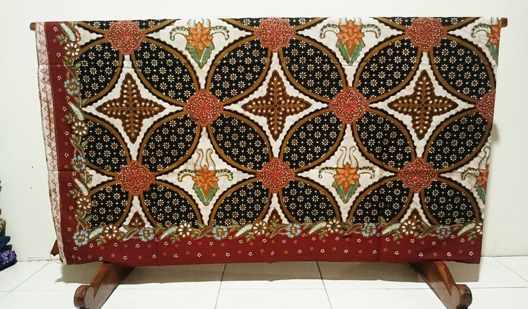 Traditional batik fabric from solo city, Indonesia. Traditional is the attitude or behavior that comes out naturally. So it is with batik. It has always been a daily life until now. This product became one of the cultural heritage of Indonesia. Batik is very synonymous with Java Island. 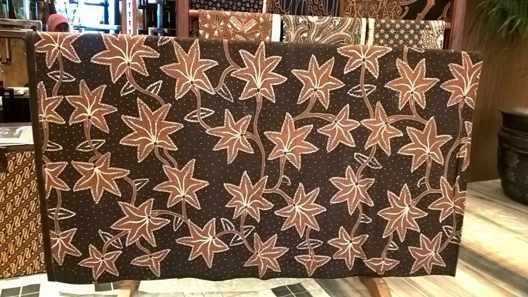 Although almost in every region in Indonesia there is batik. And every batik has its own trademark. One of the city famous for its batik is Solo. Batik is also the identity of the Solo city. Here there is a very famous batik industrial center. Namely Kampung Laweyan and Kampung Batik Kauman. 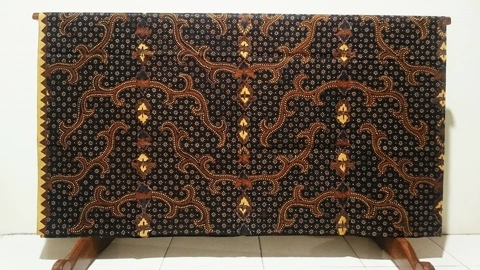 This motif has its own characteristics namely sogan ( brown color ). Some of his flagship motifs such as Sidomukti, Parang Kusumo and Sekar Jagad. The motifs on traditional batik are closely related to culture. Solo is famous as the City of Culture. Where the people are famous for its simplicity. Other than that also gentleness and friendliness. This is why traditional batik is highly admired. Not only among local domestic only, but also abroad. Speaking of traditional batik can not be removed from batik. This type of batik is the most popular. There are several things that differentiate batik with others. Like the existence of canting. This tool is used to write the wax to fabric. Then the wax, This is the material to protect the motif from the coloring process. 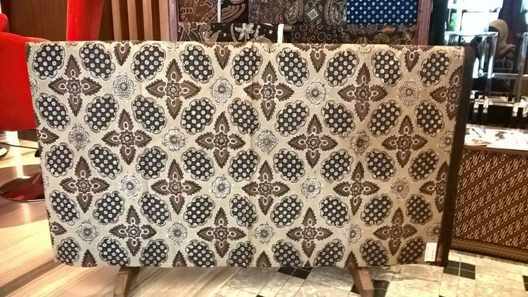 You can get traditional batik fabric in our place (Batik Dlidir). To order is very easy. You do not need to come to our place. Rather simply contact us at +62 822 6565 2222. And we will serve you gladly. Includes ready to be consulted about batik motif. 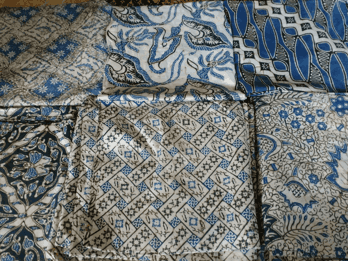 Traditional batik fabric in Indonesia has a diversity of motives. Each region has different motives. This is also a characteristic of a traditional batik. And every motive has a different background. Usually, it’s about culture. Otherwise, it relates to the norms of life in his day. 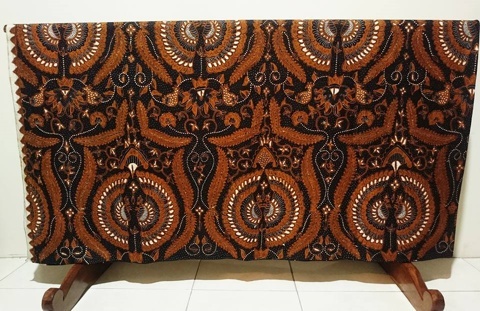 The motif contained in traditional authenticity of Indonesian batik fabric. This motif, made in the time of the kingdom. There are some motifs that are even specific to be worn by the king. One of them is the parang motif. Why this motive is only for the king. Because, this motif has philosophy and hope. And we ready to serve you for the needs of batik. There are more than 1000 motifs you can choose from. If the motive you want is not available. You can order it at our place. We are ready to serve you according to your request. Regardless of the number of your order, we will serve with pleasure. For reservations, you can contact us at +62 822 6565 2222. You can call me or through whatsapp. And I will always be at your service for 24 hours. For the second by the way of stamping (Cap). Cap(stamp) is usually made from the copper which is made suitable with the pattern or the motif wanted. The next is giving Malamon that stamp (Cap) which is poured on the cotton fabric. 1.0 Technique of making Traditional batik fabric using screen/Handprint. 2. Primissima Traditional batik fabric s and the design pattern as you want. We give the price 1,7 USD per meter. 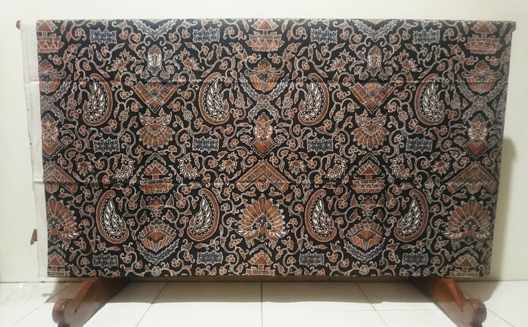 So both Batik above we send it to your location in the condition of the fabric which has be drawn motif batik. For the order or information can text or Whatsapp to +62 822 6565 2222 Mr Mudzakir. It I different for the price other order or less from minimum order. We give the price2.5 USD per meter for ready stock. But, the motif that you order we give the price 1.5 USD. 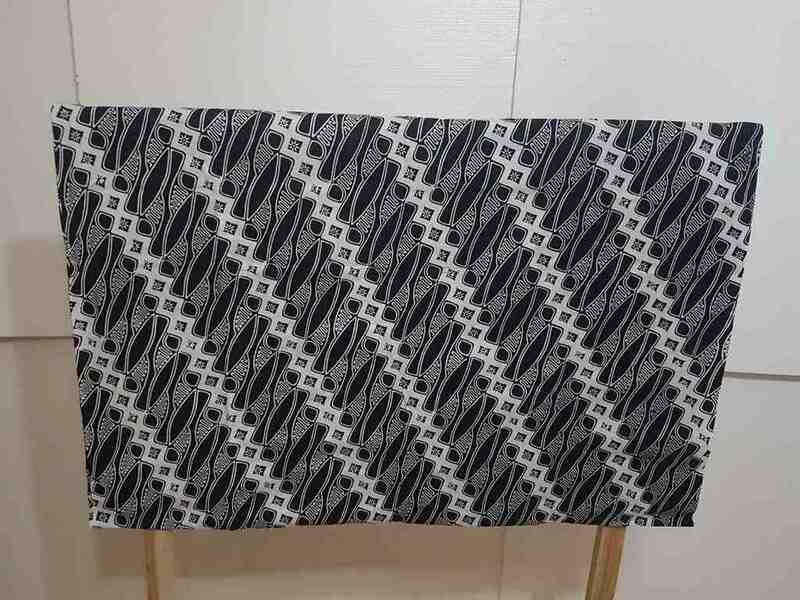 1.1 Technique of making Traditional batik fabric using “Plangkan Cabut Warna”. The technique of making Traditional batik fabric using “PlangkanCabutWarna”. The way of making uses screen or the color maker (cabut). Cabut Warna uses synthetic color maker. The coloring in making Batik, there are two namely synthetic and natural. Because using synthetic, so its making is relatively fast. There are many synthetic color which are available namely: indigosol, remasol and naptol. The superiority of this way is two same sides. So, the color which adheres on the fabric is stronger. Not only superior on color, but also the price is cheap enough. And the time of making is fast relatively. There are two prices in this method PlangkanCabut. 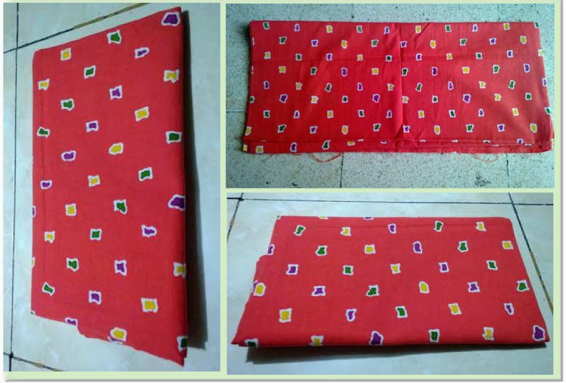 For ready stock, we give the price 7.2 USD/ piece (L x W = 240 cm x 150cm ). 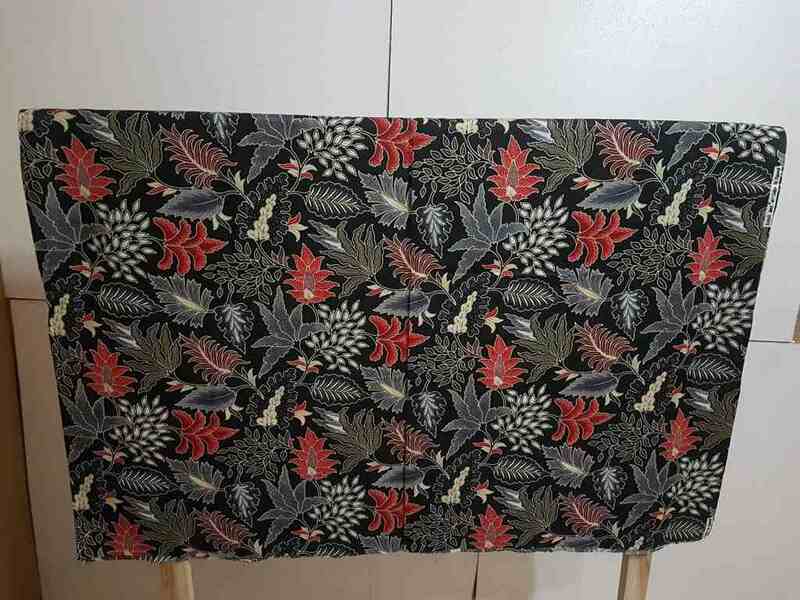 But for the motif as your order 5.8 USD/piece (size L x W= 240 cm x 115 cm). or in meter can be 2.5 USD/meter. 1.2 Technique of making Traditional batik fabric with “Cabut Kombinasi Tulis”. Technique of making Traditional batik fabric with “Cabut Kombinasi Tulis” in Batikdlidir. The way of making uses screen, Malam, and Canting Tulis. This technique is the masterpiece of Solonese about tradition. Unite between economic and cultural value. The most of society is difficult to unite them. Tulis Kombinasi uses synthetic color. The coloring in making Batik, there are two namely synthetic and natural. Because using synthetic, so it is fast relatively producing a batic fabric product. There are two prices in technique of this KombinasiTulis. We give the price 18USD /piece for ready stock. But for the motif as you order 14.5 USD/piece (size L x W= 240 cm x 115 cm). 1.3 The technique of making Traditional batik fabric uses Tulis Kombinasi. The technique of making Traditional batik fabric uses TulisKombinasiat Batikdlidir. The way of making uses screen, malam, and canting tulis. This technique uses masterpiece of Solonese about tradition. Unite between economic value and culture. The most of society is difficult to unite them. Tulis Kombinasi uses synthetic color. The coloring in making Batik, there are two namely: synthetic and natura. 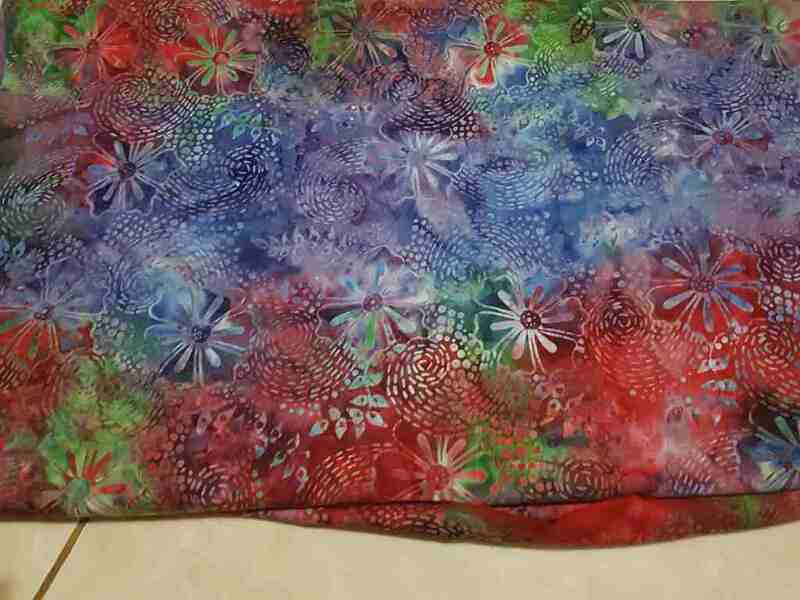 Because of using synthetic, so it is relatively fast in producing a Traditional batik fabric s product. Because using Malam(the wax) on its process of making, fabric material is felt softer. Fabric construction which is touched / is not touched by Malam, it is so different. Handling or handfeel takes sides on the fabric which is touched by Malam. The best invention from ancestor which is forgotten by us sometime. This method is Cap (stamp) combination, screen, tolet and Tulis Canting. For the wax is same too, joining hot and cold wax. So all Batik handmade exists in this technique completely. There are two prices in technique of this KombinasiTulis. We give the price 18 USD/piece for ready stock. But for the motif as you order 14.5 USD/piece (size L x W= 240 cm x 115 cm). 1.4 The technique of making Traditional batik fabric using “Plangkan Cabut Tolet”. The technique of making Traditional batik fabric “plangkancabuttolet” in Batikdlidir. The process of its production uses plangkan(screen), cabutcolor and tolet. This technique is the one of discovery of local batik craftman. There are two prices in technique of this CabutTolet. We give the price 2.50/meter for ready stock material. But for the motif as you want is 1, 8 USD/meter. 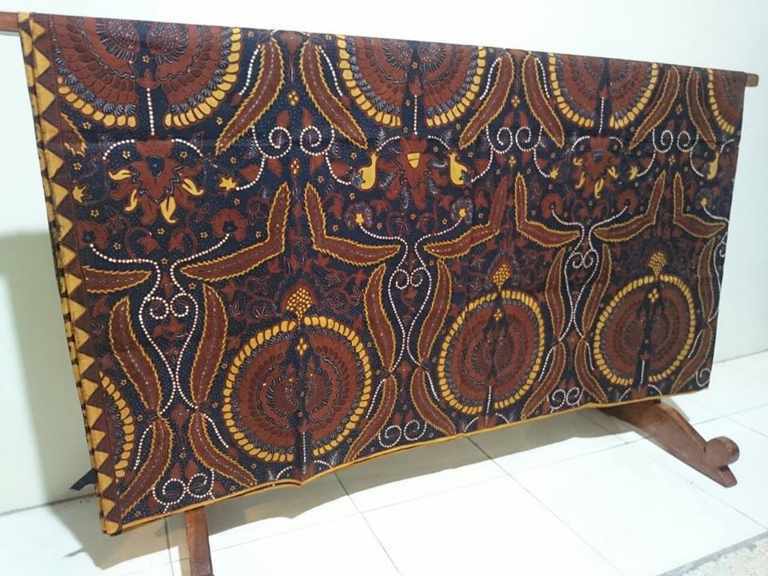 Canting technique is the masterpiece from Batik. An art, tradition and technique which must be preserved. This technique has rooted strongly in Indonesia, especially Solo city, Pekalongan, and Jogja. Batik Tulis is its making is special for drawing Malam(the wax) on fabric. The tools which is used namely Canting, Malam (the wax), fabric and Malam heater (small stove). Namely canting night semicircle technique. Or like a semi-circular worm with the base giving a wall to cause the above color. This is done repeatedly so that the color is clear and evenly distributed. For this technique enter the hardest category price range US $ 500.00 per pcs, size 240 cm x 105 cm . Granit is the technique of giving malam(the wax) with the method of the dot outside the pattern Ifyg in the pattern named pasiran. This technique is quite difficult because of the basis of diffusion from the side of the small canting. The smaller the canting will require a high level of tidiness and patience. For this technique the price range UD $ 300.00 until US $ 350.00 per pcs. That is the technique of wax casting evenly in the main pattern and in the tumpal. The process of its making we show to you in the form of video and picture. Technique of making Traditional batik fabric uses Tie Dye stamp in Batik Dlidir. Stamp technique is giving Malamon GARAN then is stamped on the fabric. Malam or the wax has function to cover and limit when the process of Tie Dye is working. So, the fabric can emerge and can be gradation. Its price can be said still cheap by the society. This technique still includes in handmade and Gradation. 1. 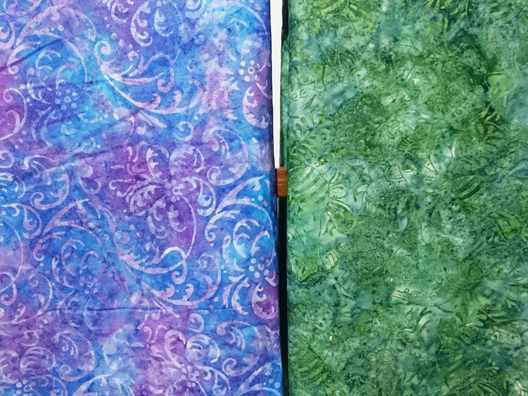 Prima batiks fabric per meter with the motif ordered 1.8 USD.